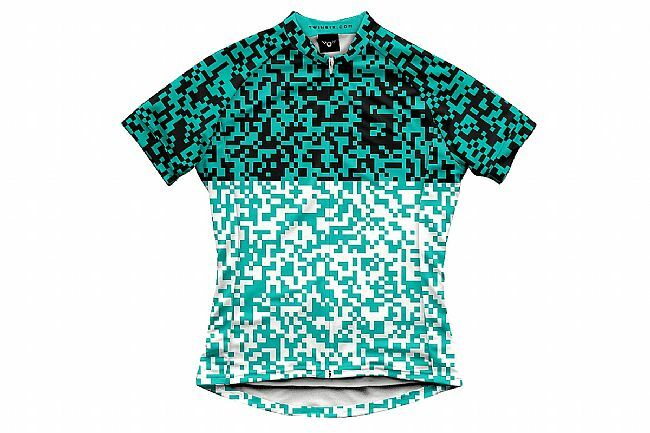 The Twin Six Uproar Jersey is designed for standing out from the pack while out racking up the miles. Featuring a lightweight, breathable, and highly moisture-wicking 100% polyester microfiber construction, the Uproar Jersey includes a full-length hidden zipper that enables on-the-go ventilation adjustments. With its QR code-inspired design, the Uproar manages to stand out from the pack while blending in with its pseudo-camo pattern. Out back, three deep rear pockets offer ample storage space for all the riding essentials; from a packable jacket, tube, tool kit and nutrition to keys and cash, you'll be prepared for it all. The Twin Six Men's Uproar Jersey is made in the United States of America.